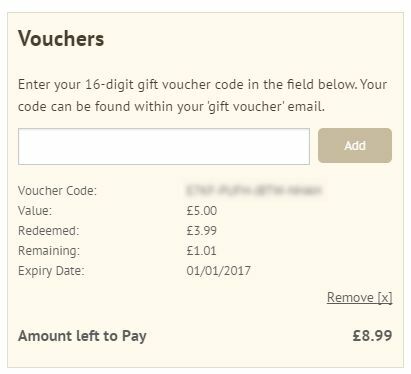 No other discount codes can be used when purchasing vouchers. Normal dobies.co.uk terms and conditions of purchase and use of the dobies.co.uk website apply. 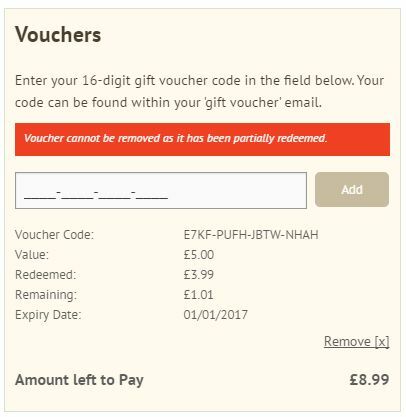 dobies.co.uk is not responsible for any Online Gift Voucher that is lost, stolen, destroyed or used without permission. 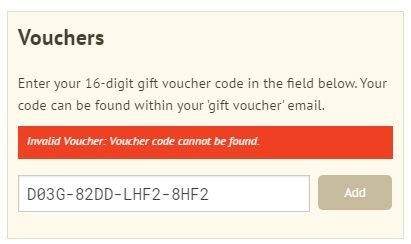 Gift Vouchers cant be redeemed on the website, over the phone or via the post. dobies.co.uk Online Gift Vouchers must be redeemed on the dobies.co.uk website towards the purchase of eligible products listed in our catalogue and sold by dobies.co.uk.